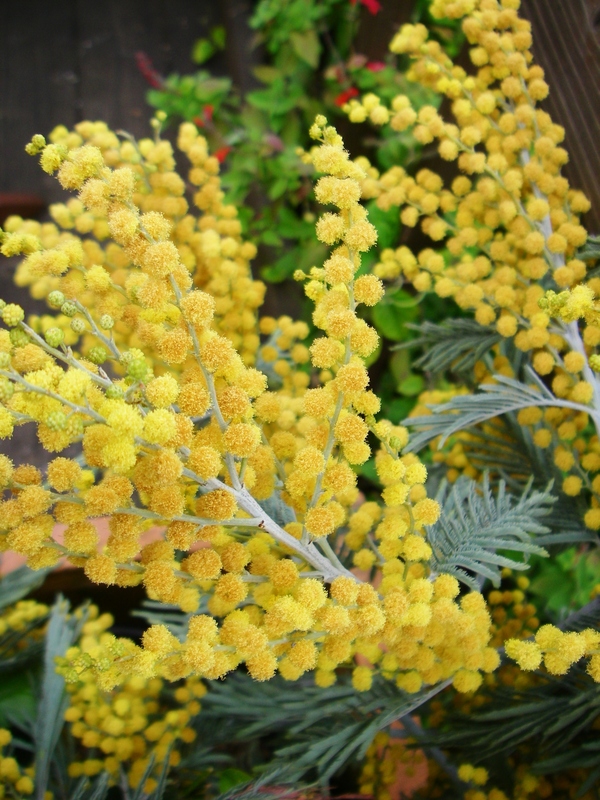 When I recently came across beautiful candied mimosa flowers, I was excited about their cake-topping potential but felt skeptical about how the flowers might taste. For one, I’d never heard that mimosa flowers were edible; also, despite my adventures with nasturtiums and lavender, I still lack a certain confidence when it comes to baking with flowers. 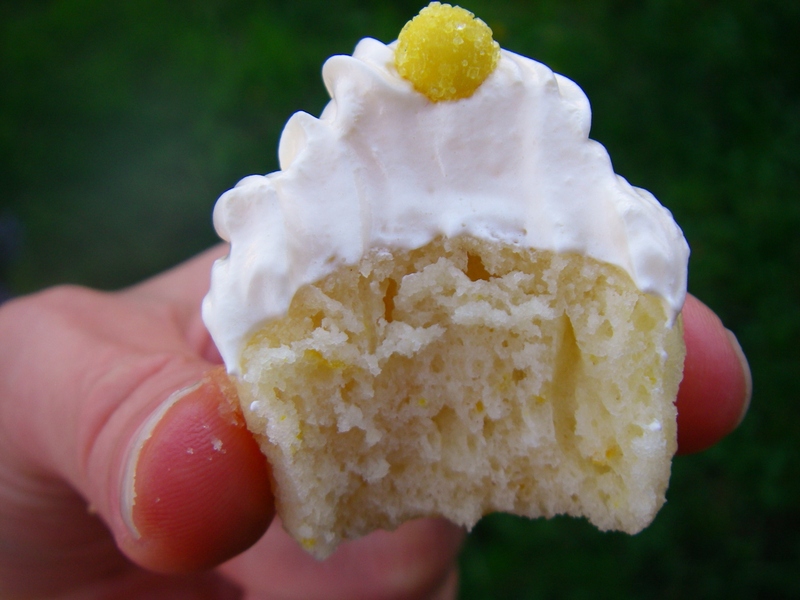 But I couldn’t get the adorable image out of my head: the round, sugar-coated, bright yellow flower atop a mini cupcake! Soon I was reaching into my shopping bag for a taste of the flowers. They surprised me pleasantly with their sweet crunch and mild, momentary floral flavor. 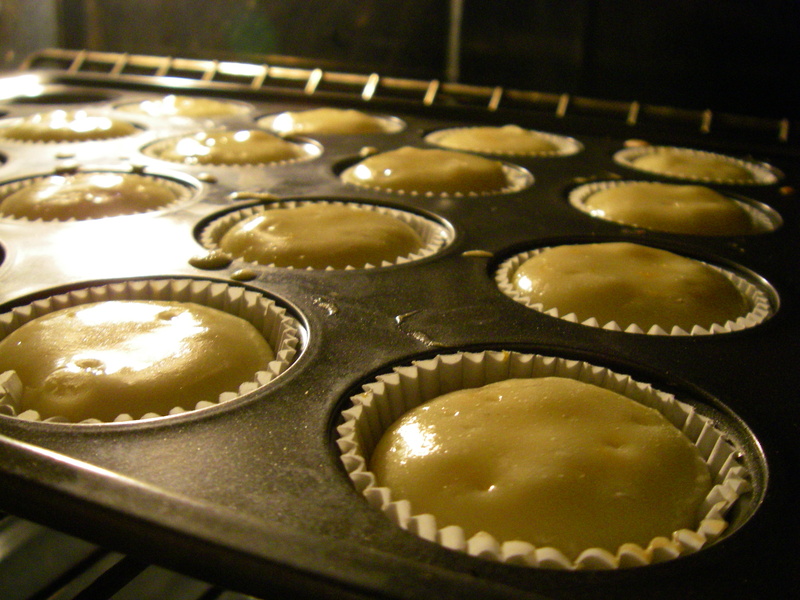 Preheat oven to 325 F. Line mini muffin pans with cupcake liners. Sift together first three ingredients; set aside. With an electric mixer, beat egg, egg whites, zest, oil, sugar and vanilla on medium speed until pale and well blended (about 2 minutes). Turn mixer to low and add the flour mixture gradually until fully incorporated. Finally, add the champagne and mix until the batter is just even in consistency. Pour into lined pan, filling cups 2/3 full. 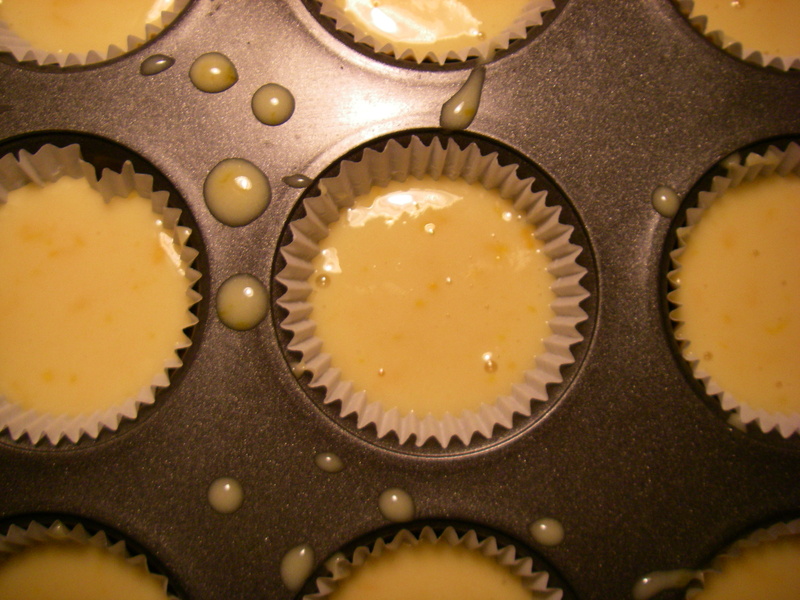 Bake for 11-13 minutes, until batter has just stopped bubbling, a toothpick tests clean, and tops of cupcakes are firm and bounce back to the touch. Let cool completely before frosting. 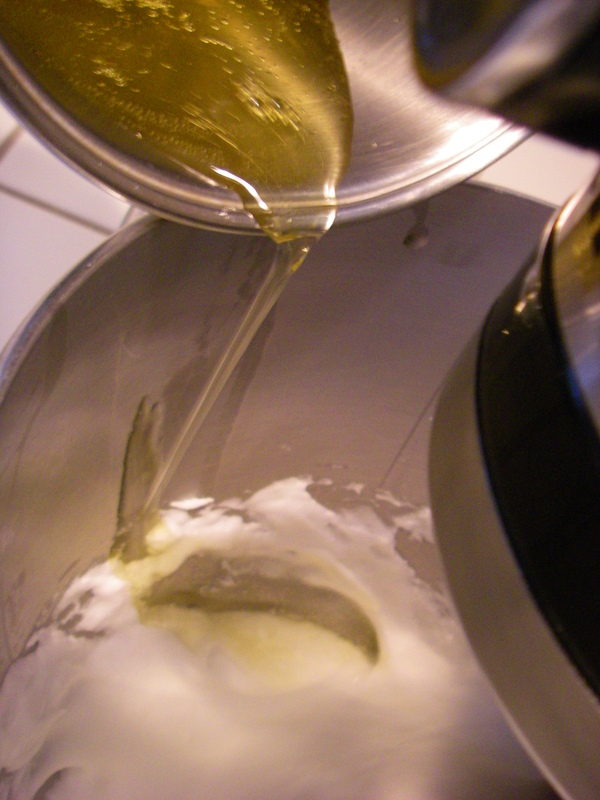 With an electric mixer (preferably free-standing), beat egg whites on medium-high until frothy and opaque. Add 1 tablespoon sugar; keep beating until soft peaks form. Separately, fill a 1/3 cup measure with about half champagne, half strained orange juice (freely adjust this ratio according to which flavor you prefer more of). 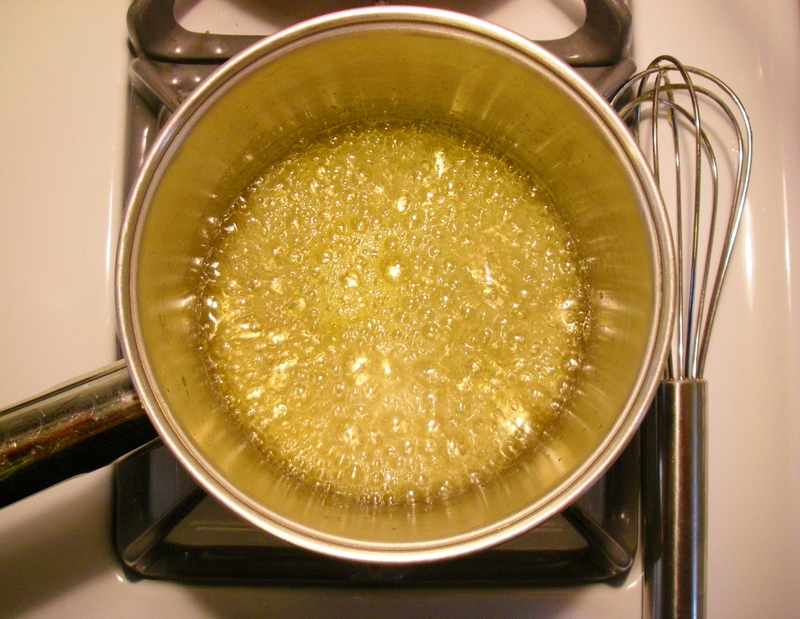 Pour juice mixture into a saucepan and whisk in 3/4 cup sugar and corn syrup. Using a candy thermometer, bring to a boil until temperature just hits 230 F. Remove from heat immediately, and with egg white mixture beating, slowly pour the syrup into the whites. Keep beating on high until bowl is no longer warm, but is room temperature to the touch; this should take about 8-10 minutes. If desired, add a drop or two of orange food coloring toward end of beating process. Before frosting gets too dry, pipe or pile it onto cooled cupcakes and top each one with a candied mimosa flower. These cupcakes taste best at room temperature, but keep them chilled if not eating within 8 hours or so. 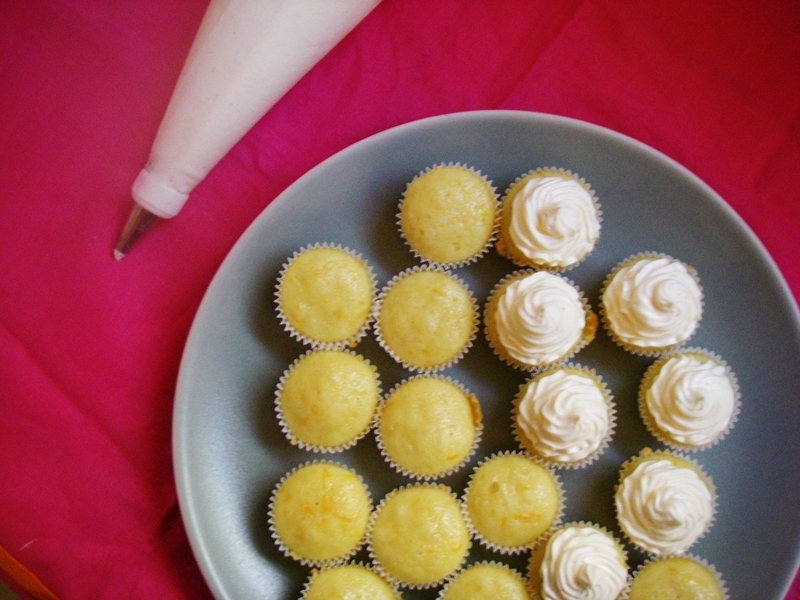 Mini mimosa cupcakes are spongy, citrusy, soft, and mild. Full of tiny air bubbles, hints of champagne, and bits of orange zest, they impart the flavor and the feeling of drinking a mimosa. The little flowers of the same name – whether growing in the sun or readily candied for eating – offer a hint of sunny weather and the sweetness that so often comes with it. *These cupcakes are also delicious at standard size instead of mini. Just fill the cups 2/3 full, and increase the baking time by 5 minute increments — watching carefully for doneness. Recipe should yield about 12-20 standard size cupcakes. **Since the cake batter contains no milk or butter, I wanted to make a dairy free frosting for wider edibility, and this one was especially fitting because of its delicate texture. If you prefer whipped cream or your favorite vanilla frosting, I’m sure it would be equally delicious and possibly simpler to make. Note: My frosting recipe here makes plenty extra! This entry was posted in Baking with Flowers, Cakes & Cupcakes, Sweets and tagged alcohol, baking, baking with booze, baking with flowers, bubbly, champagne, citrus, cocktail, cocktails, cupcake, cupcakes, dessert, floral, flower, flowers, light, Market Hall, Market Hall Foods, mimosa, orange, recipe, summer, yellow. Bookmark the permalink. Thanks, Lilly Sue! For some reason I am just now seeing this sweet comment of yours, but I appreciate it just as much as I would have sooner. Happy New Year to you! 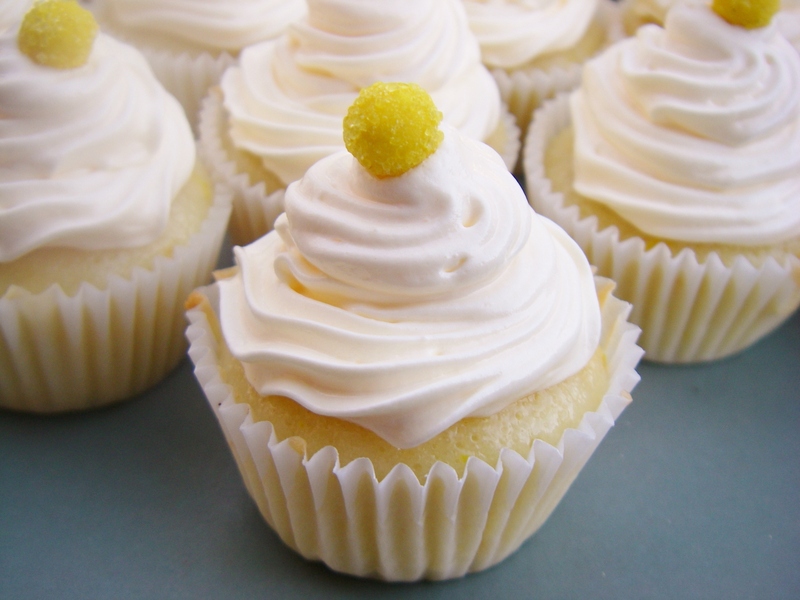 I’m re-posting my mimosa cupcake recipe, as its champagne-spiked orange batter is perfect for the New Year’s holiday. Cheers! Thank you, Cameron! It makes me happy to know that you and Kathryn enjoyed Market Hall, too. I feel a little silly to admit that I go there almost every weekend, get a cup of coffee, and just peruse the aisles (often merely window shopping). Their items have inspired several of my baking adventures! It’s a foodie heaven!